When it comes to the best luxury hotels in Bangkok, those with lavish suites, breathtaking views, fine dining and iconic rooftop bars, look to the hotel that was voted ‘#1 in Thailand’ by guests like you in the Condé Nast Traveller Reader’s Choice Awards. 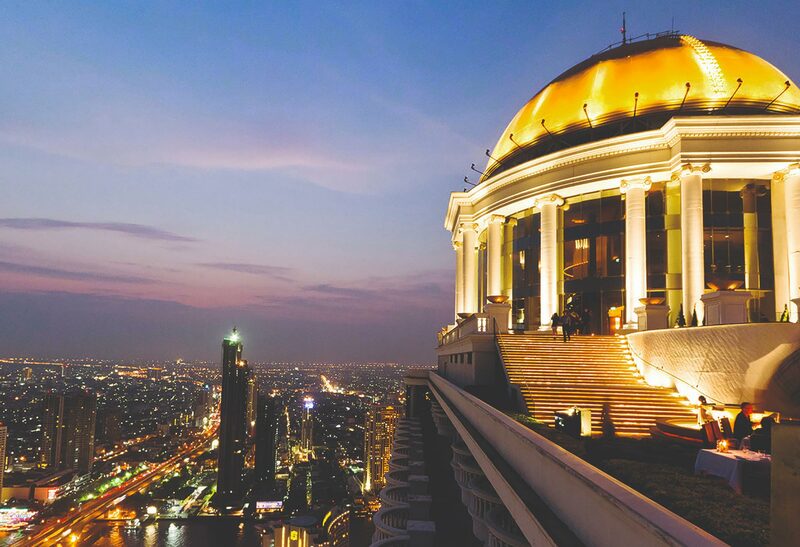 lebua expansive and elegantly-appointed suites, with their separate bedroom, living room and kitchenette, offer spectacular city and river views from their balconies high above Bangkok’s vibrant sightseeing, shopping and business districts. From its prime location near the Chao Phraya River, BTS SkyTrain and expressway, the entire city is within reach, with many attractions just minutes away.